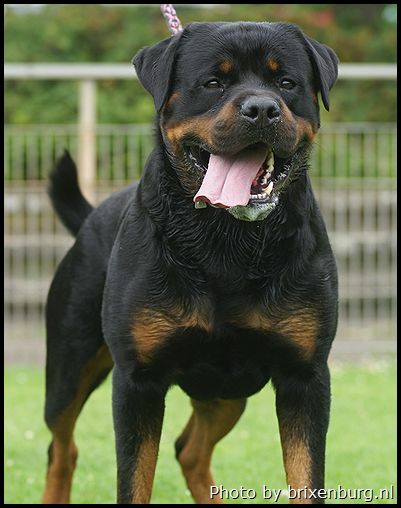 DINGO is a ADRK German Rottweiler stud dog from the world famous vom Gruntenblick Kennel bred by ADRK Judge Wolfgang Gaa. 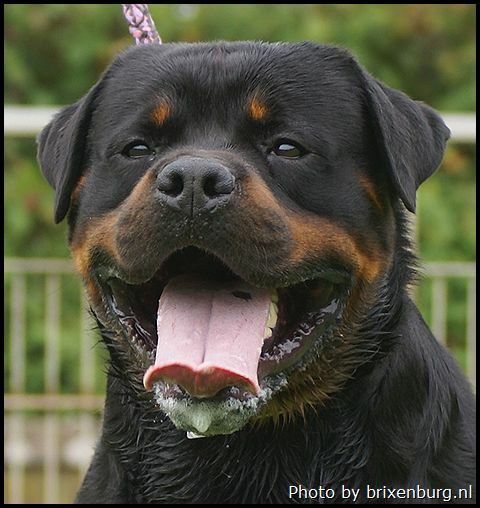 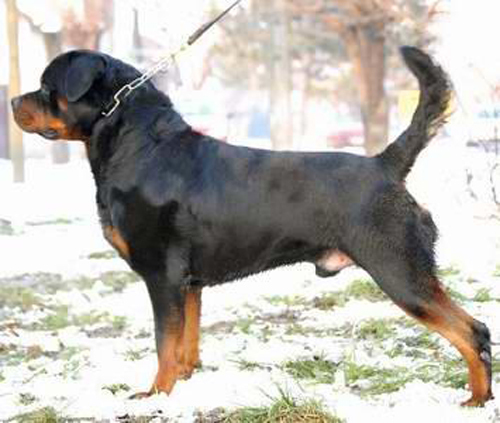 Dingo is a Schutzhund 3 Rottweiler has a strong elegant headpiece with dark mahogony markings, black mouth and dark eyes. 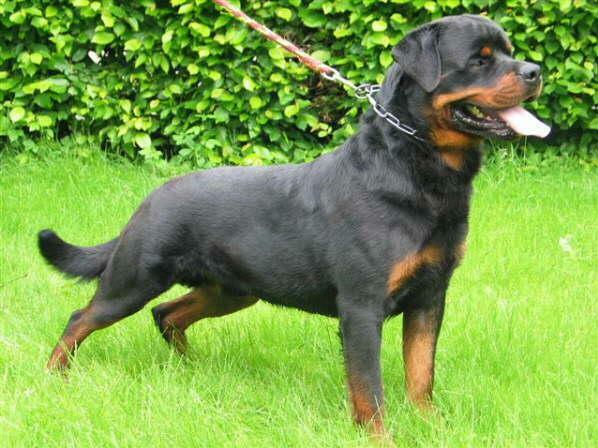 He has a pronounced stop with short wide muzzle, compact body witha strong rear. 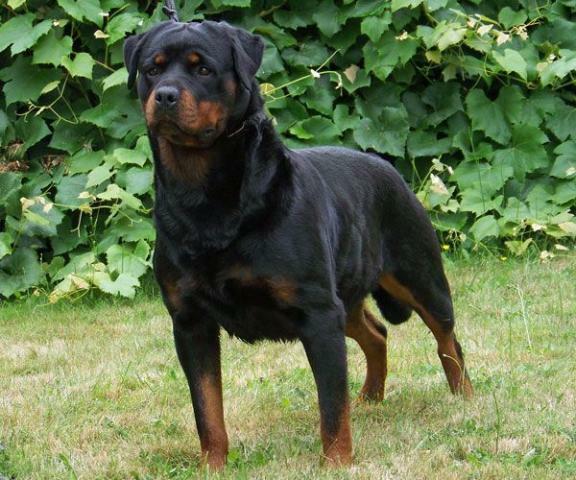 What makes a true stud dog is what he has produced in the few breedings he has had in Germany, his most noteworthy progeny includes the famous G-Litter of the VOM OBERPFALZER WALD Kennel that produced GRINGO VOM OBERPFALZER WALD. 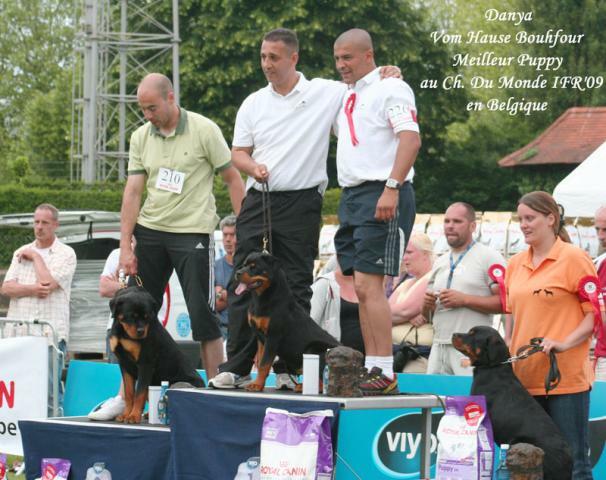 We also have owned one of his offspring ELFIE VOM OBERPFALZER WALD who is the dam of my succesful B-Litter VOM AZTLAN. 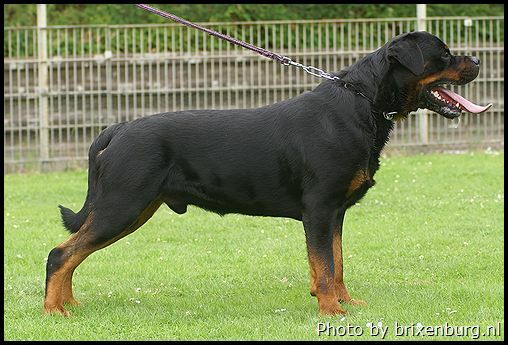 DINGO has some of Germany's old bloodlines that include his sire EYCK VON TENGEN as well as the super imposing MATCHO VON BURGTHANN and KEVIN VOM BAMBERGER-TAL . 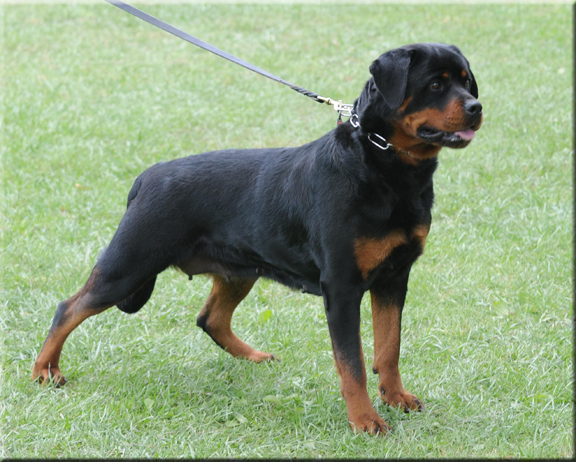 Dingo dam TOGA VOM KUMMELSEE also produced 1/2 brother to Dingo HERBIE VOM GRUNTENBLICK. 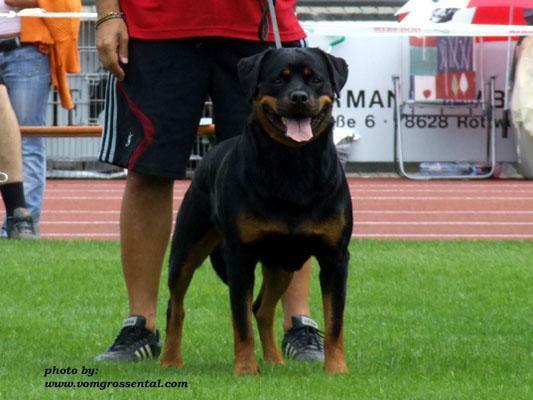 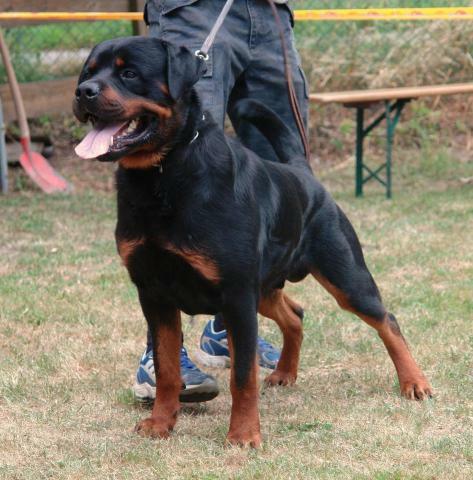 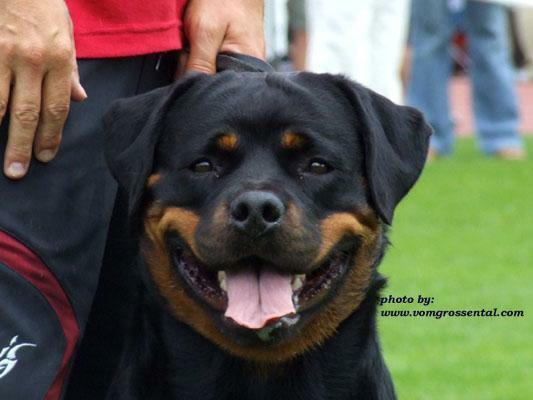 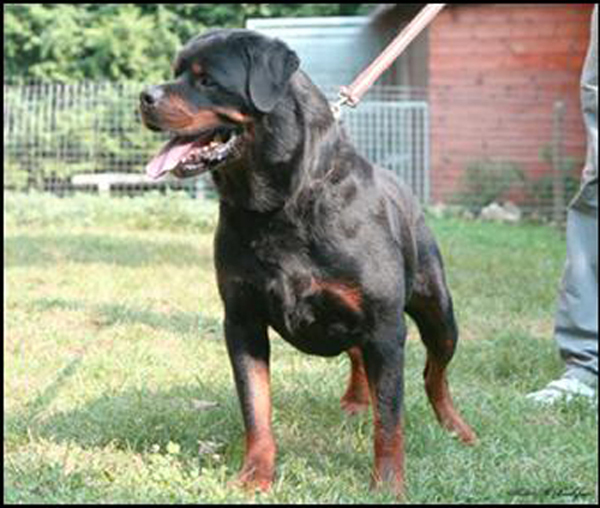 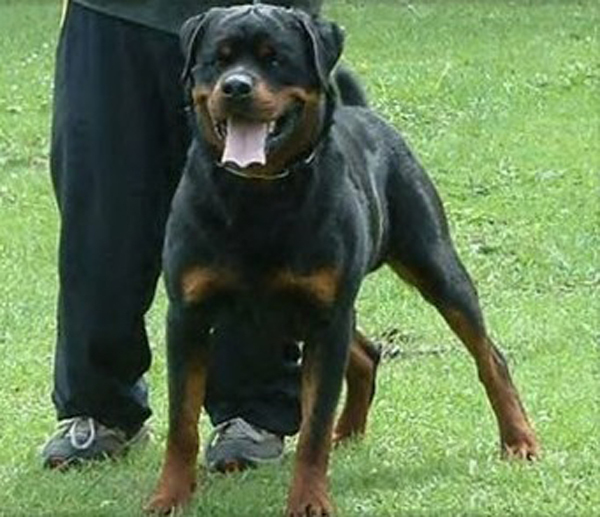 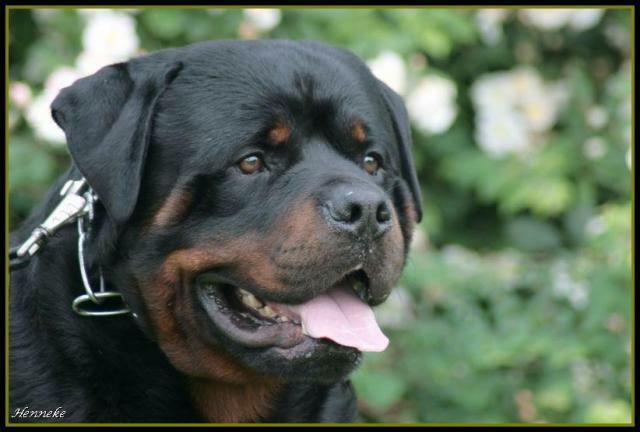 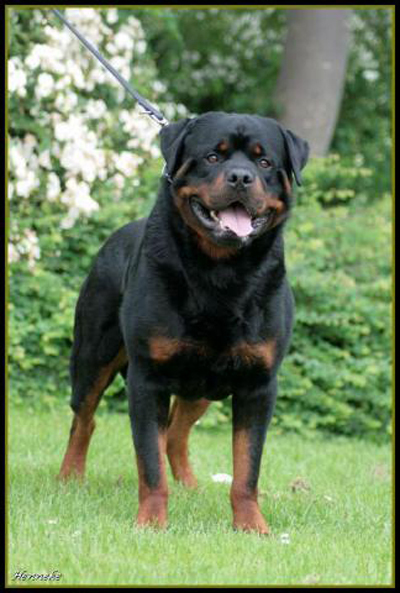 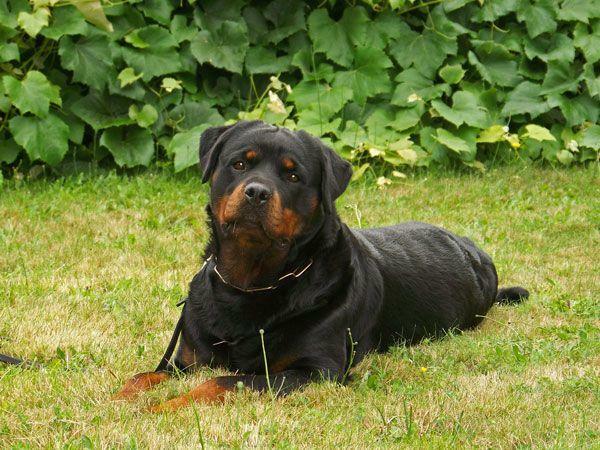 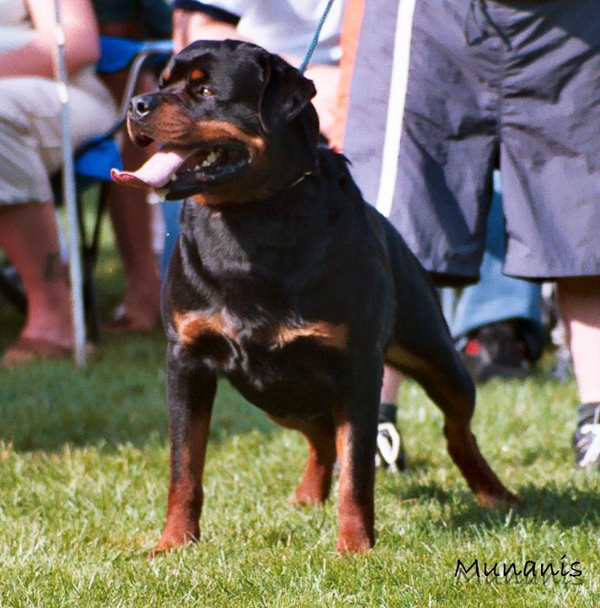 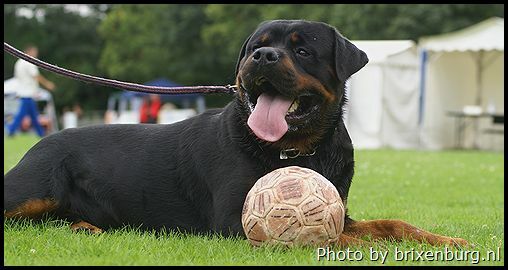 Toga is daughter of the one of the most solicted Rottweiler stud dogs the world famous NORIS VOM GRUNTENBLICK. 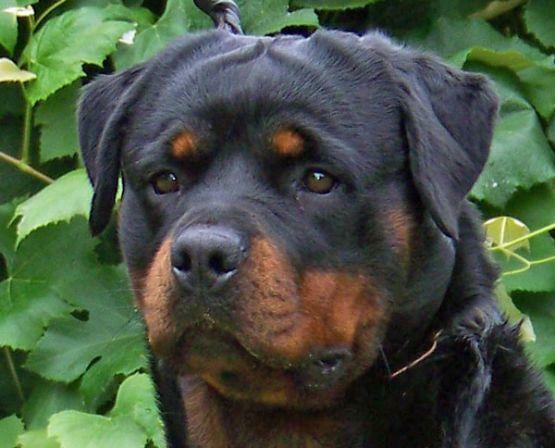 er Brand.Hinterhand richtig gestellt,natürlich gewinkelt. 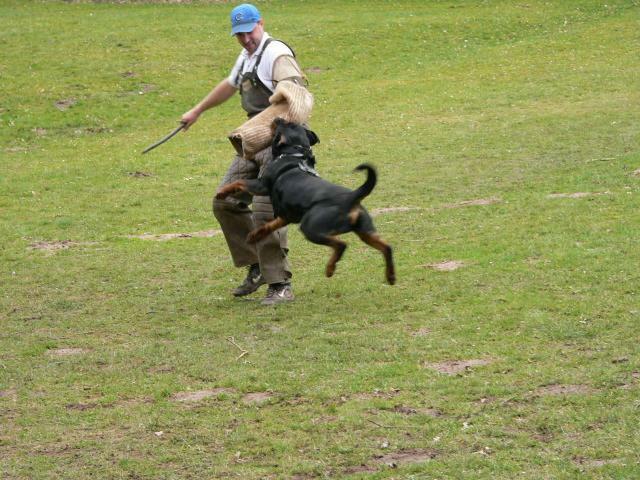 Korrekte Ganganlagen.